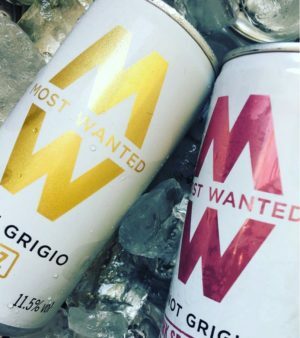 Most Wanted Wines at LFW! SAMPLE MOST WANTED WINES AT BEHIND THE BRANDS! As we gear up for our Behind the Brands: Deconstructing Slow Fashion networking evening this Thursday we are so excited to partner with Most Wanted Wines and see how they are shaking up the wine industry. They travel the world to source the finest wine varieties - some that you know, some you may not - and when they find them, their mission is to get everyone to enjoy the world’s most wanted wines. We can't wait to sample them this LFW! They are adding to the traditional wine bottles and offering the cutest cans - find out why below and try them for yourself Thursday! Ok, so we’re biased. And we do love cracking open a bottle on the odd occasion. But cans! Join the revolution folks, you’ve seen the hype, now it’s time to find out what all the fuss is about. Within reason. We’re talking beach, picnic, barbecue, festival, camping – you know the drill. Long train journey? Canned wine is your friend. It’s convenient, easy to throw in your bag, and most importantly, you don’t need to bring a glass. Cans are much lighter to transport than glass from source to customer (x17 lighter at equivalent volume if you’re asking) so have a lower carbon footprint. Around 70% of aluminium cans are recycled globally, the highest of any recyclable resource. They’re almost always recycled back in to themselves, as opposed to plastics or glass which are often ‘down-cycled’. The recycled material back on shelf in as little as 60 days. True story. Light, fruity and fizzy wines are exactly what you want in a can – the wine stays super-fresh and you can cool your cans faster than it takes to say ‘make mine a large one’. Or whatever.